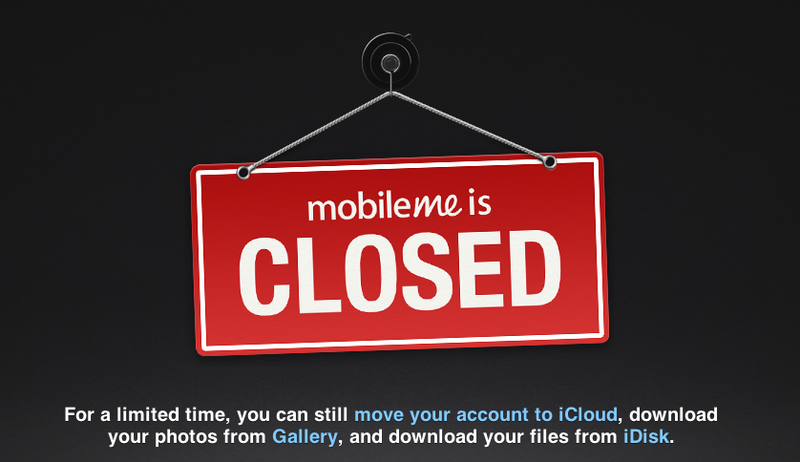 MobileMe was shut down on July 1 by Apple, as part of its efforts to transition users to other services. 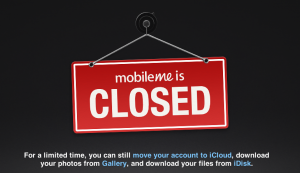 Not making the transition, however, were users’ public web sites, shareable Photo Galleries and iDisk, a cloud storage service similar to Dropbox. Note: It’s important that readers of this article understand that the purpose of this post is to document a growing, grass-roots movement to archive the web, in spite of some rather controversial methods practiced by this movement. While I sympathize with the philosophy, I am not affiliated with, nor do I condone all of their actions, nor is this something we at Rutgers would do without first clearing permissions and rights to archive any content. One of the big problems with the web is its inherent lack of permanence. There is no formal archiving structure, and like anything digital, it’s very easy for something deemed important by someone to just disappear overnight, with little or no notice. Sometimes these deletions happen on a mass scale, affecting millions of websites of varying quality, and sometimes arguably of significant cultural value. Now it appears that, for better or for worse, a group of individuals are working to do something about it… with or without our permission. Today, all eyes on the tech world were focused on Apple, who as expected, wowed onlookers with its yearly sneak-peek of what’s to come from Cupertino. And among those announcements came a bombshell for those of us in digital imaging. A major product announcement came in the form of high-resolution, near-print quality image displays that are available beginning right now, on a high-end line of Apple MacBook Pro computers. These Retina displays are boasting 2880 x 1800 pixel densities, at a resolution of 220 pixels per inch, equivalent to some 5.2 megapixels. By comparison, if you’re reading this on a desktop or laptop, you’re likely seeing it at a resolution of between 72 and 150 pixels per inch, weighing in at a mere 1.2 to 1.8 megapixels. At the moment, this is only available (at least for desktops and laptops) on a very top level, premium line of systems whose price tags start at $2,200. 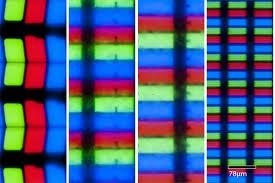 However, we can expect over the next 12-18 months for these types of displays to become more common on less expensive computers, on all operating systems. And of course, displays of this resolution (and higher) are already available on tablets and mobile devices, such as iPads, iPhones and some high-end Android equivalents. The immediate impact is that most web-formatted images that are meant to be displayed at the customary 72 ppi, will appear much smaller, and less defined, on these newer screens. This will mean that in order to deliver quality image content to users in the long term, images will have to be larger and more detailed. It’ll be possible for a greater amount of detail from high-resolution digital images to be seen online, instead of having to print these images to get the full effect. Most digital text will be clearer to read. Our computer screens will better approximate print. And hopefully, using a computer to read a document should be a lot easier on users’ eyes. Fortunately for us at RUcore (and many other digital preservation projects), we’re still well ahead of the curve, with imaging preservation standards that set a baseline of 400 to 600 dpi scanned images. This was originally meant to help us re-create the full print quality of a lot of the documents we scan and preserve, should someone, someday decide to re-print them. But now, it’s clear that computer displays of all types are evolving to catch up with print, and give users an image experience that was never before possible on an electronic screen. 1/2 inch, consumer, open reel video format used in the 1960s-70s. This format suffers from Sticky Shed Syndrome, making playback difficult. 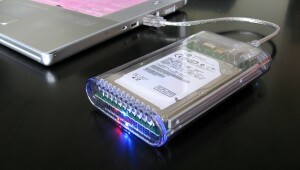 Working machines for this long-obsolete format are scarce. Source: IUB Media Preservation Initiative, used with permission. Note: IUB has asked me to stress that the above photo is not representative of all media collections at the university. Home to at least 3 million media objects, including sound and moving image recordings, photos, documents, and artifacts, IUB has come to grips with the issue at hand: a great deal of their heritage is locked within obsolete electronic and analog playback formats for sound and moving images. As an old format becomes obsolete, it gets harder by the day to find working equipment to play back these objects. And that assumes that the objects can be played back, not having succumbed to age, wear and physical decay. 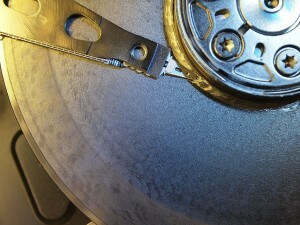 Lacquer from old aluminum audio discs can delaminate, making them unplayable. Video tapes from the 1960s, 70s and 80s can suffer from a condition where the binding agent that holds the recording material to the plastic base sheds, allowing audio and video recordings to literally flake into nothingness. Film, too, has its own serious decay problems. With its vast collection, faculty and staff at IUB knew the situation could become serious if nothing was done. Their first step was to take stock of the situation, and consult outside experts (myself included) to get input how how best to address the problem. Their efforts began nearly 18 months ago when a group of IUB faculty and staff, concerned about the potential fate of important special collections on campus, approached their Office of the Vice Provost for Research about the critical issues of media, and to impress upon them that time was of the essence to address these issues. 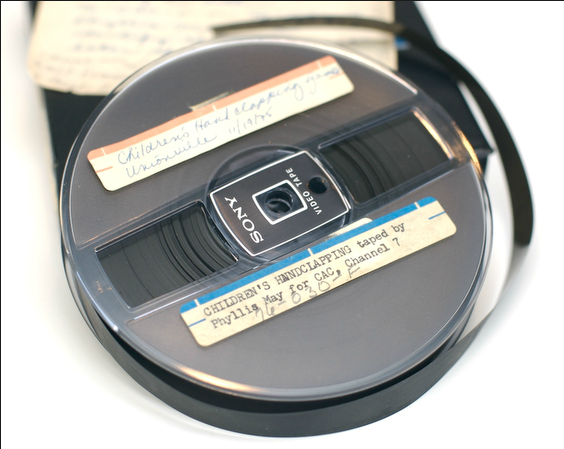 The culmination of their efforts to date have been documented on the IUB Media Preservation Website, where they document their comprehensive effort to preserve IUB’s vast audio, video, and film holdings. Some important documents from their study and efforts including IUB’s Director of Media Preservation Services Mike Casey‘s Media Preservation Survey (PDF), outlining the collection holders, preservation stakeholders, the risks involved, and potential preservation strategies. A follow-on public report (12MB PDF) also lays out the situation and what steps are being taken to save their special collections and historic content. 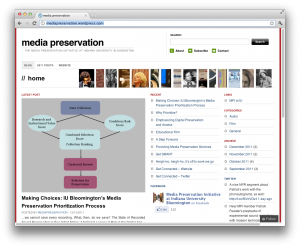 Continued engagement, updates, and discussion on decisions made and procedures undertaken are regularly made available on their Media Preservation Blog. IUB has many years of work ahead of it, not only to transfer older content into more modern digital formats, but also to continue to maintain those archives, preserve new content, and keep pace with new technologies and formats to ensure that their collections are accessible. It’s encouraging to see them in action, and their efforts stand as a potential framework for other organizations in a similar bind to model their initiatives after.